NEWS: Is this a phone or a games console? Remember the Nokia N-Gage, the dumb phone that was shaped like a small games console? Although the Finns might have missed the mark with that one (because there weren't many games available for phones back then), gaming is increasingly popular on mobile devices, as both the phones and the games get more sophisticated. But jabbing at your phone's screen can be a bit limiting and tedious, especially if you're also used to using a game controller for a full-sized console. Enter the Snail Mobile i7: a phone that looks and acts like a hand held gaming gadget. The i7 features a six inch 1080p screen, 6GB of RAM, 64GB of storage, and a large 6000 mAh removable battery. And D-pads! And thumb sticks! 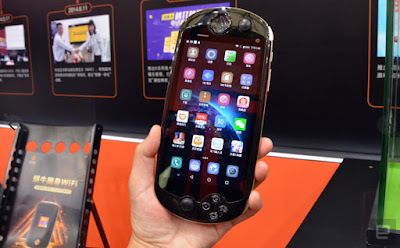 It looks just like a PSP, but this thing is a fully functioning Android smartphone, complete with a 16MP main camera, and 5MP selfie camera. It is essentially a very powerful phone with finger-friendly controls on the side. 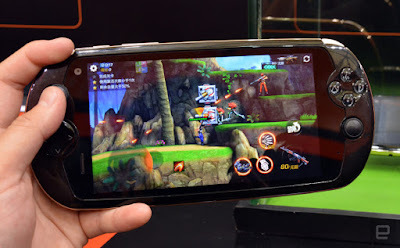 Expected to be released across Asia in August, the Snail Mobile i7 could be the dream phone for people who use their devices more for gaming than anything else. But still, even if you're not a gaming fan, you can't ignore all that RAM and a high performing Helio X20 processor. No news yet if the Snail Mobile i7 will find its way to European or American shores, but we kinda hope it does eventually.